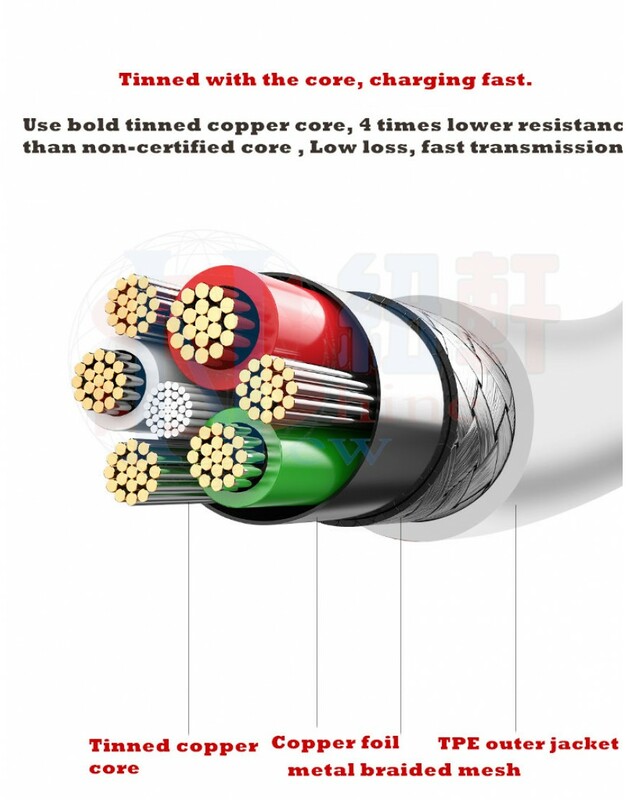 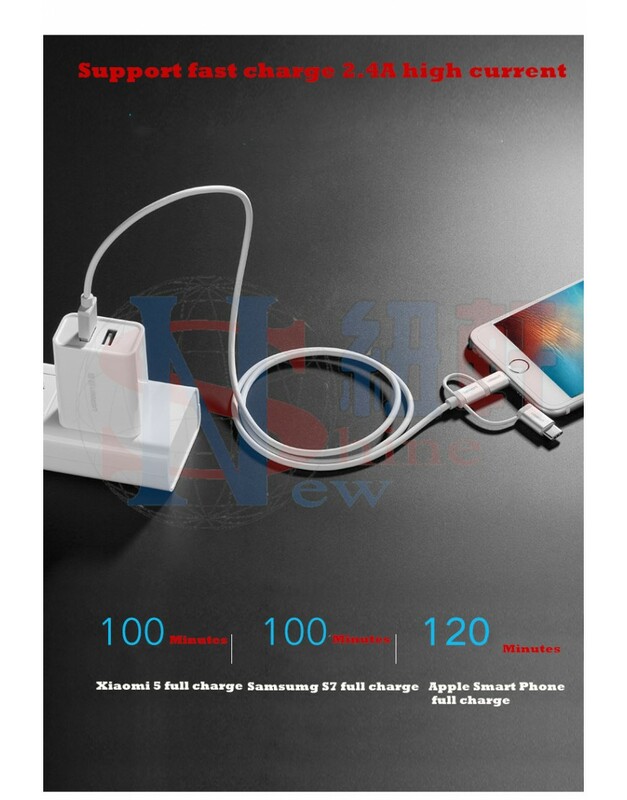 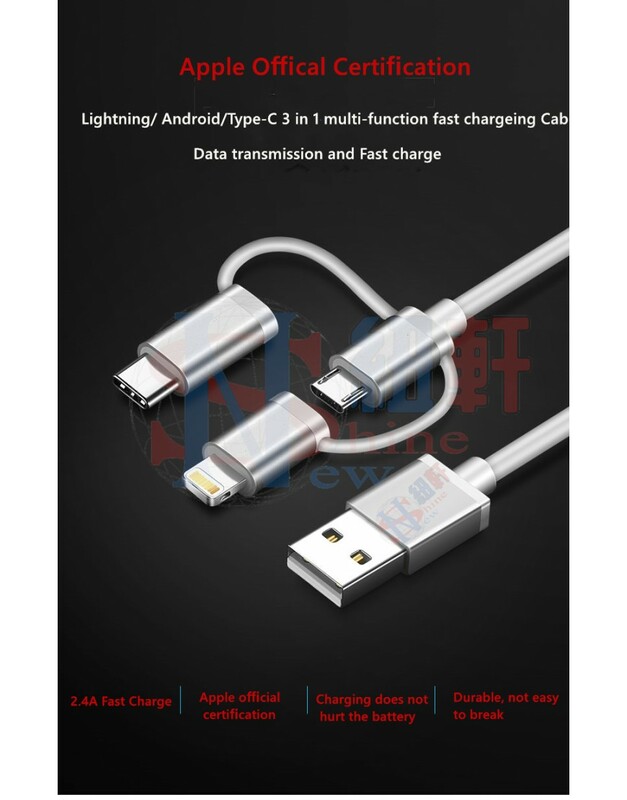 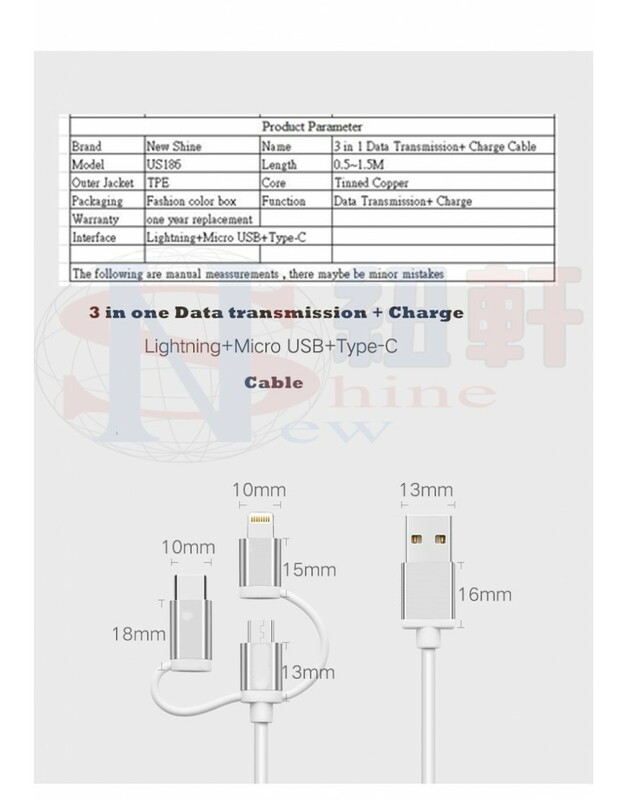 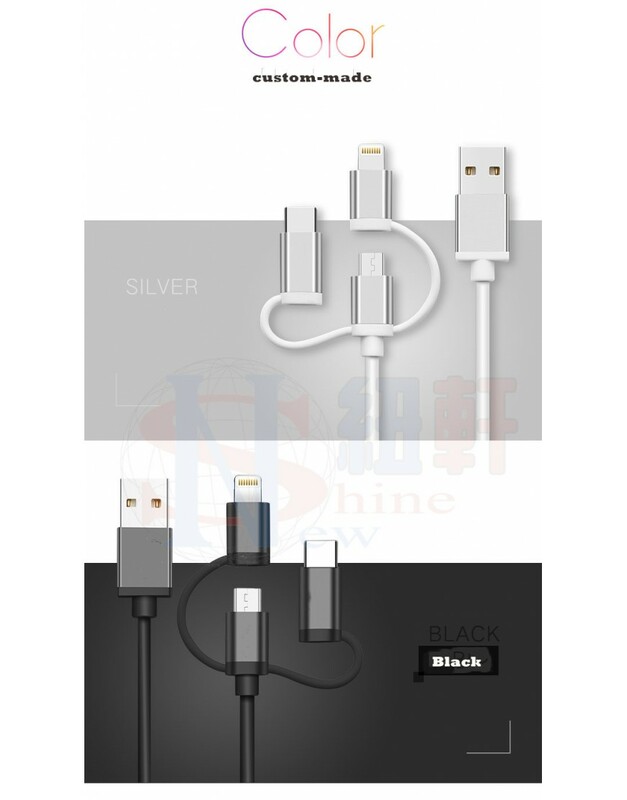 New Shine Apple official certification 2.4A 3 in 1 Data Transmission+ Charge(Linghtning+Micro USB+Type-C CableApple Android TYPE-C data cableFast charge data line 2.4A fast chargeApple official certificationCharging does not hurt the battery Durable, not brokenOne line and three heads to solve different interface requirementsThree types of interfaces can be ..
Three types of interfaces can be switched at will to meet different mobile phone charging needs. 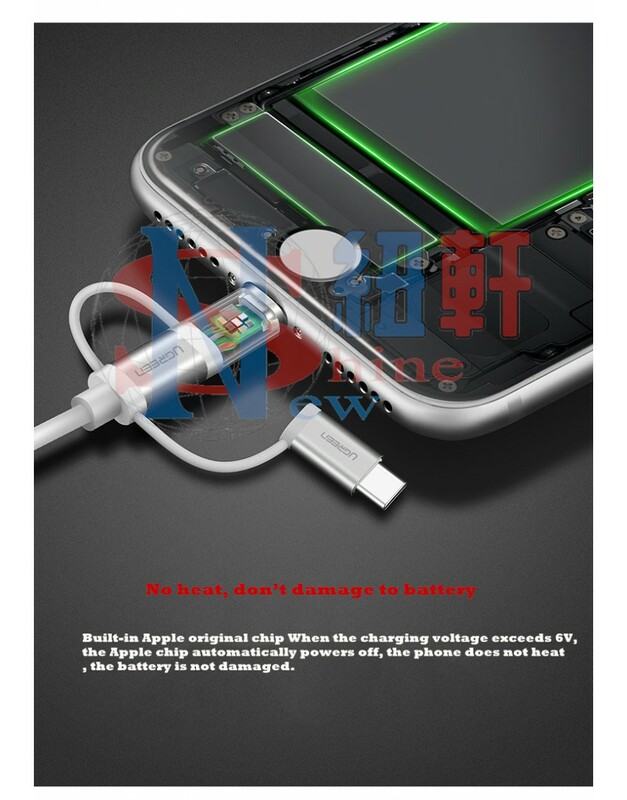 No heat, don’t damage to battery. 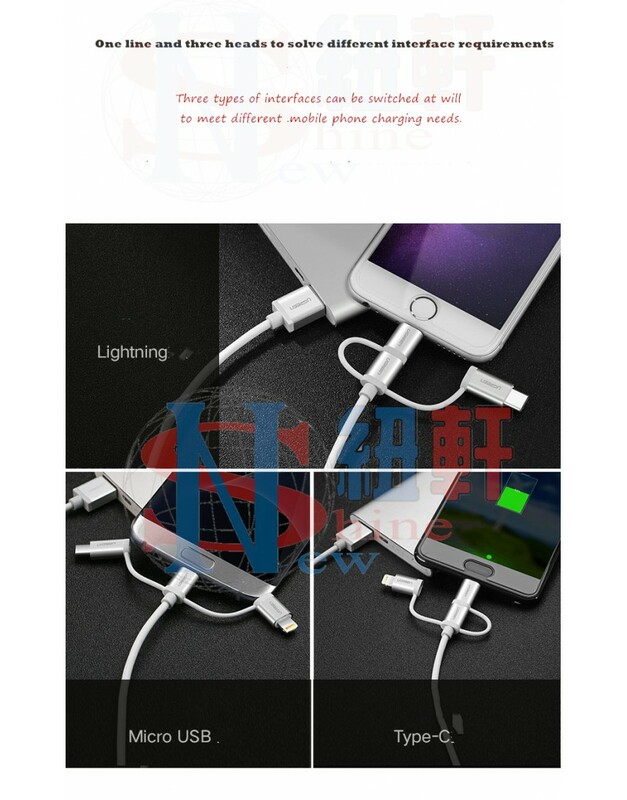 Built-in Apple original chip When the charging voltage exceeds 6V, the Apple chip automatically powers off, the phone does not heat, the battery is not damaged. 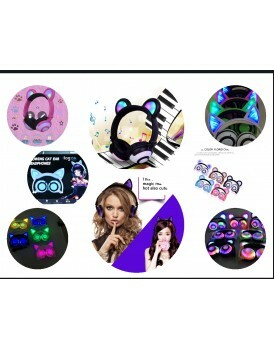 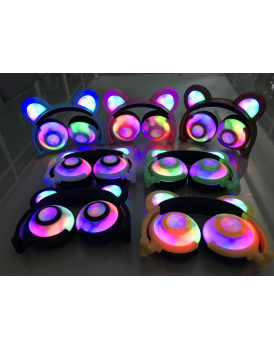 New Shine Panda's earphone with the battery not chargeable but with cableProduct DetailsProduct..
---- New Shine panda headphone ( bluetooth wir..
------ New Shine cat's headphone with battery can't chargeable Product description, Specifications, ..
------ New Shine Wireless control cat's headph..
New Shine Multi charging Cable 3 in 1 Nylon Braided Multiple USB Fast Charger Cord 3.3ft(1.3m)..
New Shine Multi-Functional Mobile Video Amplifier and Lazy stand support Product Name Mobil..